When you start to see spots on your dishware, experience dull and filmy hair, dry skin, dingy laundry, and funny tasting coffee, you may have a hard water problem on your hands. Hard water is the common type of water supplied to communities all across the country. In order to combat hard water, one must install a water conditioning system, also known as a water softener. Some cities have “harder” water than others; it all depends on the region in which a person lives. You may be wondering, “What makes hard water, hard?” And this is a very good question. Continue reading to learn more about hard water, hard water removal, and water conditioning systems. Hard water contains high traces of mineral ions; such as calcium, magnesium, and iron. The greater the levels of minerals, the “harder” the water. When water falls from the sky as rain, it is pure and soft water. Once it reaches the ground, it soaks through grades of rock, sand, soil, and clay; all the while, picking up and gathering more and more mineral content. The more mineral content it accumulates, the “harder” it becomes. Hard water exists in more than 85% of the entire country. Hard water can be reduced with a water softener. Water softeners are conditioning systems that eliminate traces of mineral ions in a property’s water supply. The calcium and magnesium in hard water precipitate out when heated. This produces the accumulation of scale or mineral deposits; the hard white stuff around faucets and sinks. Soap and detergents do not lather well in hard water. This leads us to use more, spend more, and only results in more scale-buildup. Hard water can clog plumbing pipes and create problems with other household appliances. Hard water can reduce water flow and pressure, drastically. Utility bills are generally affected by hard water issues. If your monthly bills are on the rise, hard water problems may be to blame. Scale mineral deposits from hard water can deteriorate water heaters. Hire a reputable Indianapolis Water Softener Repair Company for professional water softener installation and services you can trust. Call Water Softener Repair Indianapolis at 317-537-9707 for effective hard water removal services in Indiana. 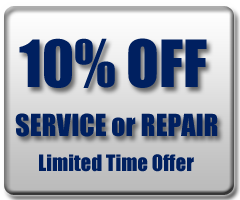 We provide residential and commercial water softener repair services and maintenance for all make and model units. We can fix a hard water problem in as little as one day! Don’t get left in the dark with another water softening company; they cannot provide the countless amenities and proficient services like us! Call 317-537-9707 for trusted and reliable water softener services in Indianapolis, IN and its nearby counties. This entry was posted in Hard Water, water softeners and tagged hard water, Hard Water Removal, Indianapolis Water Softener Repair, install water softeners, water softener services Indianapolis, water softeners. Bookmark the permalink.